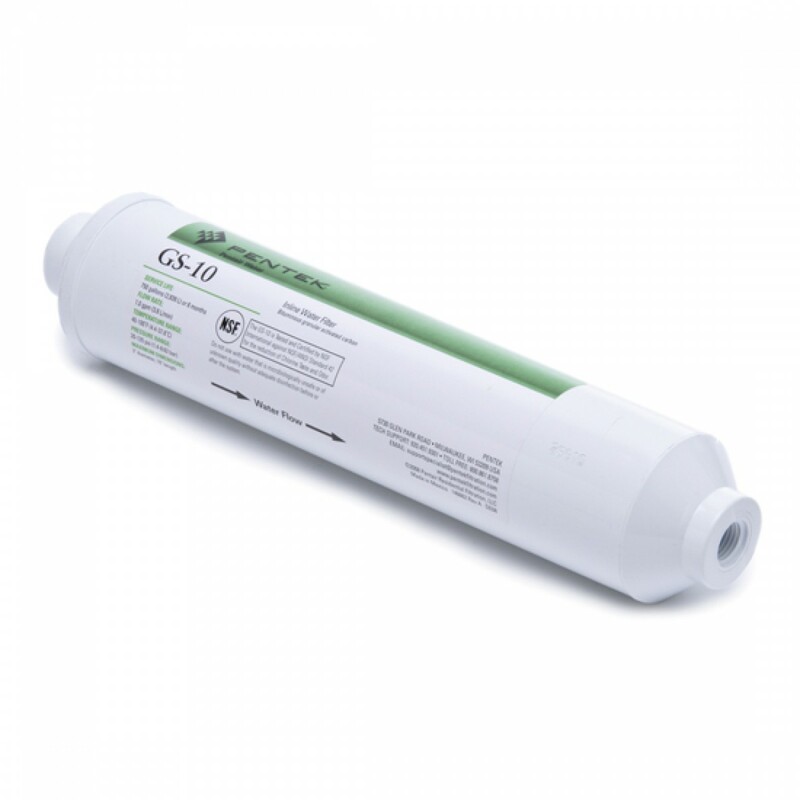 The Pentek-GS-10-B inline filter provides quality chlorine taste and odor reduction and is an ideal choice for a variety of filtration applications. The Pentek Inline Filter Replacement Cartridge fits 1/4-inch water lines. The filter uses Granular Activated Carbon to remove contaminants for up to 6 months. 1/4-inch FPT fittings for both inlet and outlet.